The M10 is yet another masterpiece designed by Samsung at a very affordable price and with maximum features that has been provided. The Samsung M10 has got a very beautiful and sleek body which looks very elegant and beautiful and the weight of the phone is quite light which makes it easy to handle and use and the size of the phone is good which allows the user to effortlessly hold the phone. The screen is very beautiful with good colour quality and the size of the screen is very big and the notch looks beautiful and also has the option to adjust the screen according to the notch and requirement of the user. The camera at the low price range is very good and the wide angle mode is the best mode which allows the user to capture wider images and hence getting a good picture. The autofocus is okay and takes a while to autofocus but gives sharper images in the daylight and during night it is quite a task to click the pictures. But overall the camera is quite good with many modes and the image quality. The Battery life is mind blowing with a battery capacity of 3500mah the phone continuously can be operated for many hours and also gives quite and brilliant performance and there is no issue with the phone getting heated up and the battery saver mode helps to extend the battery with all the accurate battery usage readings of all the applications. The dolby atmos sound also gives a good quality in the sound and the output given by the speaker is very nice and it has a good sound quality compared to the phones at this low price range. Thus this phone is very good and a must buy and also good value for this price range. Samsung M10 is such an impressive phone..this is one of the best device one can get in this budget. The display is vibrant and colorful. The dual camera setup is best..the wide more is one of my favourite feature on Samsung M10. Most elegant and beautiful looking phone in this budget for sure. It weights like nothing..so slim and light weight. The battery life is awesome works for me in every condition with all day internet usage, heavy gaming etc. The blue colour looks so cool in hand and feels so luxurious. I just love this product. This is one of the best device i got after so long in this killer price . My Samsung Galaxy M10 is really an amazing phone. Look wise its good and also is light in weight. The hd infinity display gives the phone rich look and the colors are pretty good. The 13mp camera with 5mp ultra wide camera is one of the star feature of the phone along with the battery life which is perfect! 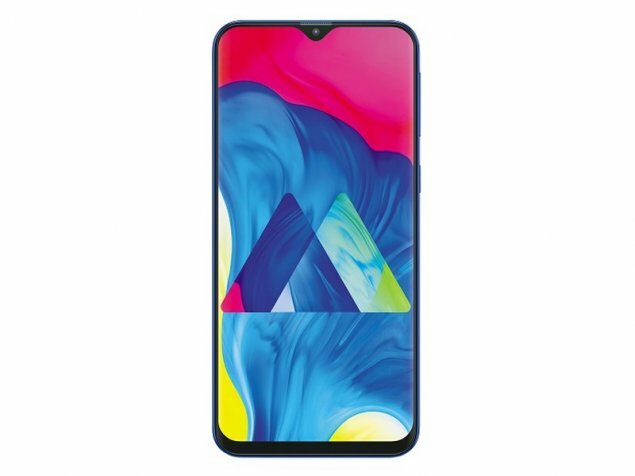 Samsung Galaxy M10 smartphone was launched in January 2019. The phone comes with a 6.22-inch touchscreen display with a resolution of 720x1520 pixels and an aspect ratio of 19:9. Samsung Galaxy M10 is powered by a 1.6GHz octa-core Samsung Exynos 7870 processor. It comes with 3GB of RAM. The Samsung Galaxy M10 runs Android 8.1 Oreo and is powered by a 3,400mAh non-removable battery. As far as the cameras are concerned, the Samsung Galaxy M10 on the rear packs a 13-megapixel primary camera with an f/1.9 aperture and a second 5-megapixel camera with an f/2.2 aperture. The rear camera setup has autofocus. It sports a 5-megapixel camera on the front for selfies, with an f/2.0 aperture. 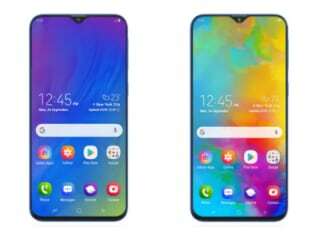 The Samsung Galaxy M10 runs Samsung Experience 9.5 UX based on Android 8.1 Oreo and packs 32GB of inbuilt storage that can be expanded via microSD card with a dedicated slot. The Samsung Galaxy M10 is a dual-SIM (GSM and GSM) smartphone that accepts Nano-SIM and Nano-SIM cards. Connectivity options on the Samsung Galaxy M10 include Wi-Fi 802.11 b/g/n, GPS, Micro-USB, FM radio, 3G, and 4G (with support for Band 40 used by some LTE networks in India) with active 4G on both SIM cards. Sensors on the phone include accelerometer and proximity sensor. The Samsung Galaxy M10 supports face unlock. 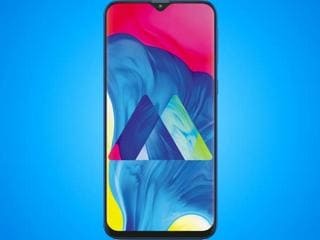 As of 22nd April 2019, Samsung Galaxy M10 price in India starts at Rs. 7,990.